My interest in paper collectibles, previously focused on stamp collecting, has expanded into a new area: playing cards. 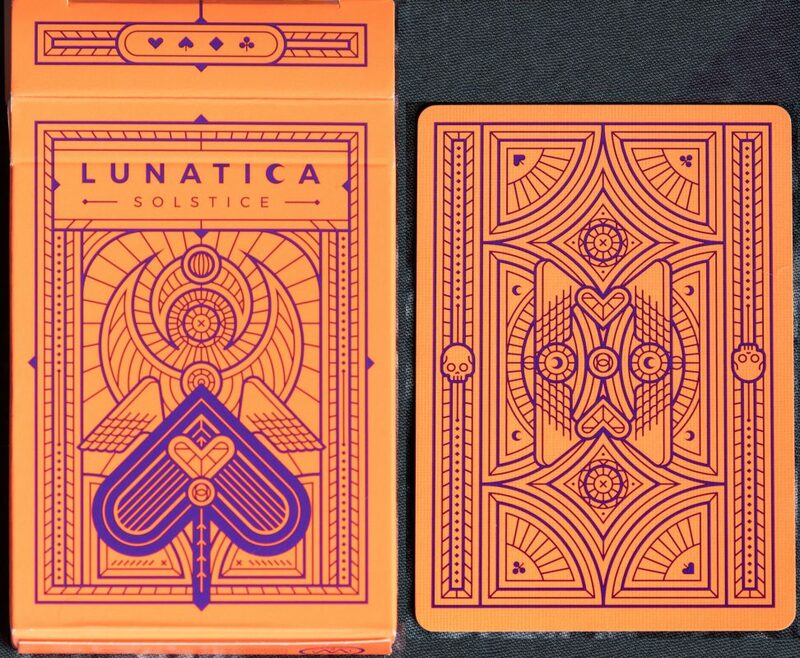 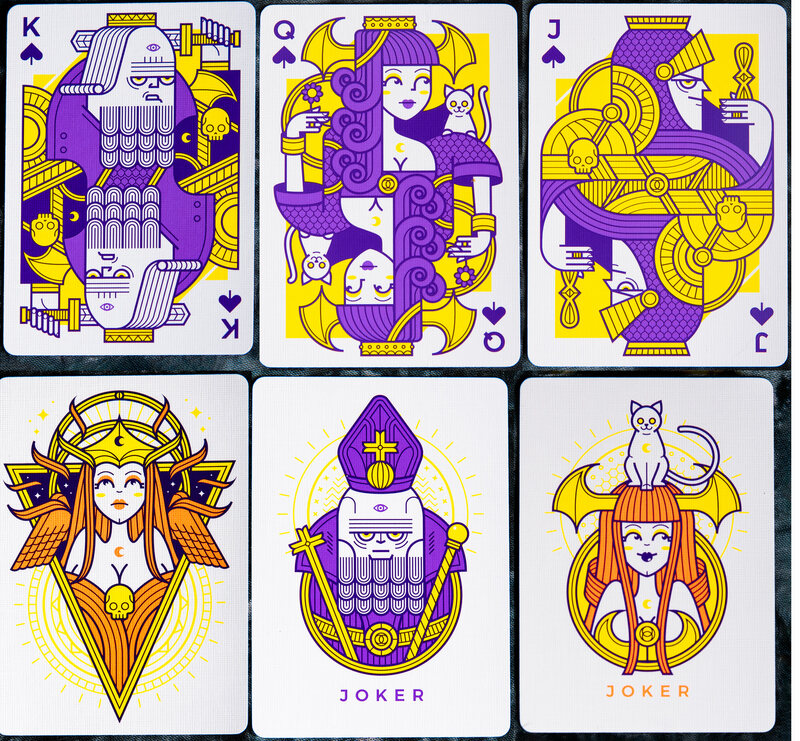 Besides the fancy tuck boxes, the new designs focus on updating the face cards, as well as other aspects of card design, including the pips and backs. 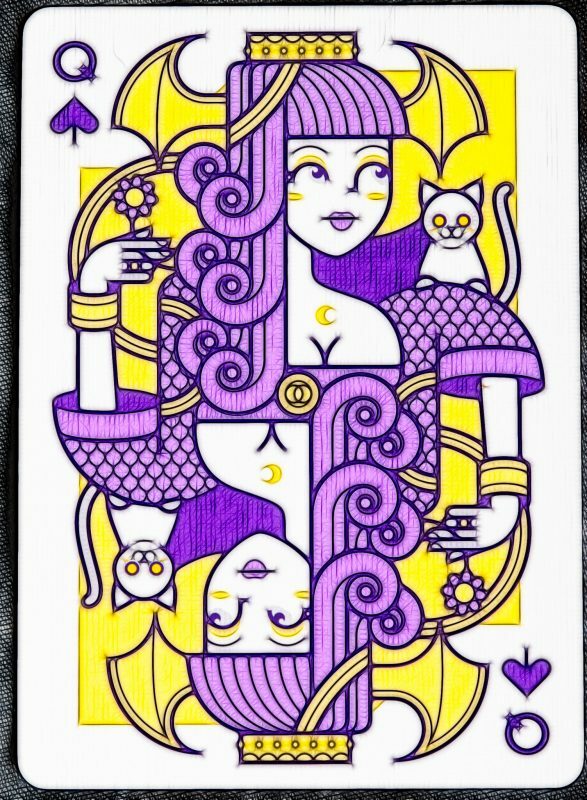 I love these cards and have more on order from the same designer; photos coming! 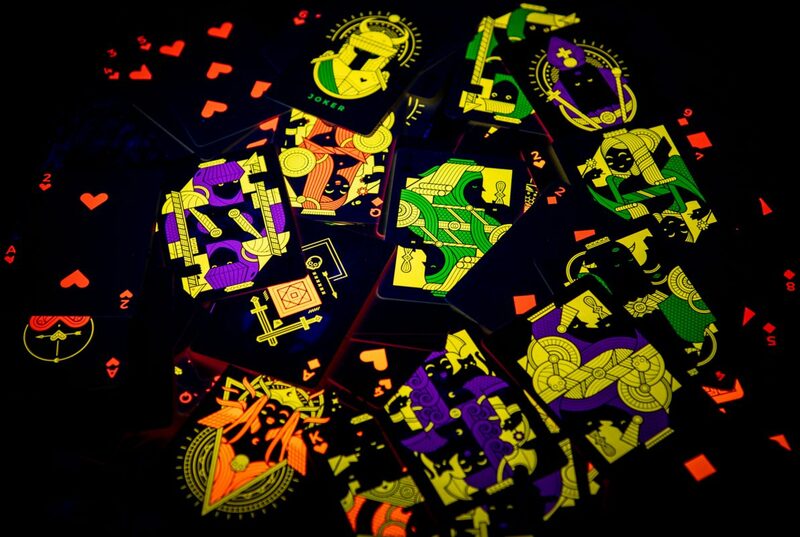 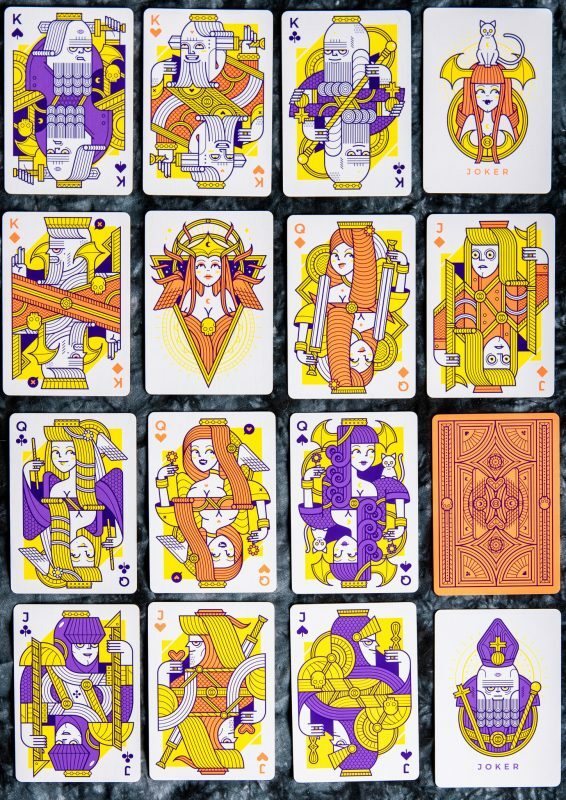 This post features the entire set of royalty, close-ups of the spade face cards, as well as a shot of a surprising feature: the cards are fluorescent!